I love the city of Grand Rapids (where I reside and where this wedding took place). Prior to the event, Abby, Steve and I took a walk downtown to scout for locations. We ended up with a well thought out plan of stops and covered some impressive ground the day of. Abby and Steve are a class act. They show excellence in how they treat others and go about things. Something I thought was really great was they decided to not pick a best man or maid of honor. To me that spoke volumes with how much they value their friendships equally. This couple is also extremely down to Earth and well mannered. Moments before they walked into the reception for introductions, their wedding cake got knocked to the ground. When Abby was told, she said with a smile, "That's ok. Did you get a photo of it before it fell?" I had and she was completely unphased by the event. Luckily, it was a display cake and the catering staff had more cake in the kitchen for serving. My wish is that all bride and grooms enjoy their wedding day as much as these two did. Sometimes I give little direction - just to see what happens naturally - this is what happened. These two are a dynamic duo together! Where do I start with this wedding? The weather that September day was ideal. Andy and Brittney were more than ideal to work with. 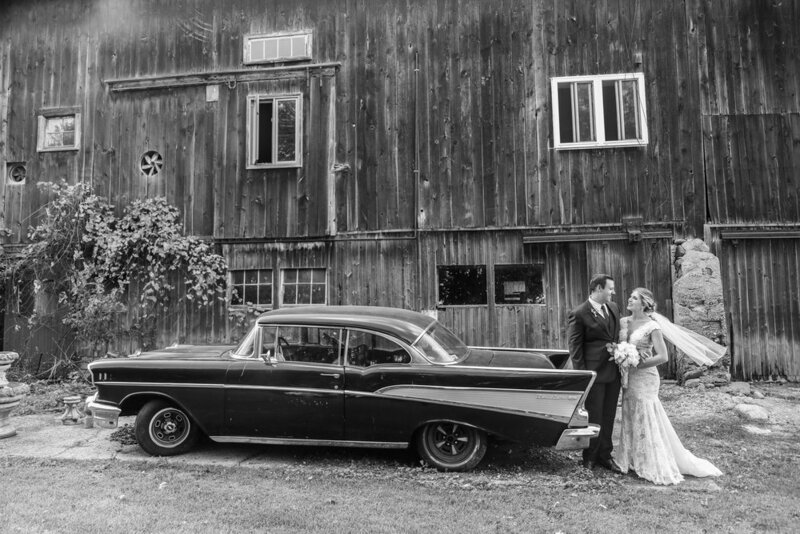 The ceremony took place at the Bride's parents' property overlooking a field and the reception was at the Aplex in Alpena, Michigan. Brittney saw this swing in a creative shoot I had done. She told me she loved that swing and asked if there was a way she could have it in some photos. I coordinated with Doreen Thomas. We came up with a plan. My brother and Father put the swing in the tree on our family's private property. Doreen found time out of her busy day to put garland on the swing before we arrived at the locations for photos. 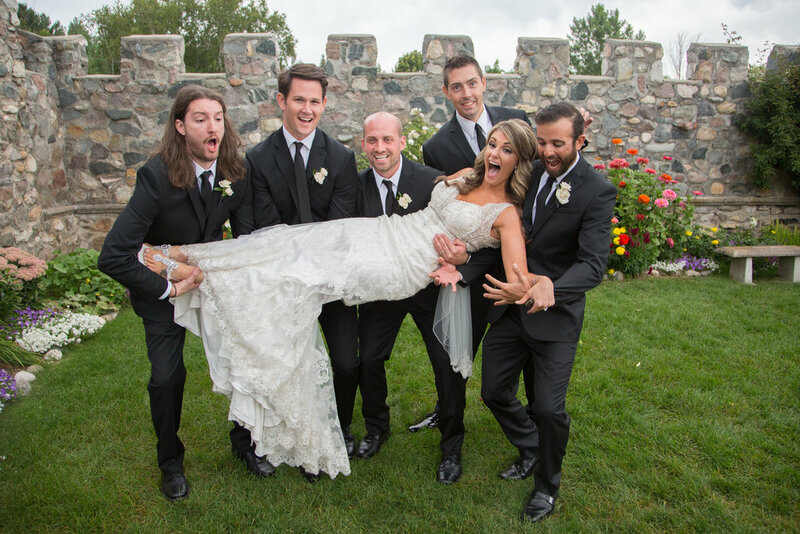 Andy and Brittney along with their wedding party truly know how to live in the moment. It was clear as can be that day when I worked with them. From a photographer's perspective, that is something that truly adds to and often makes the photos. This couple knocked their Grand Rapids, MI engagement session out of the ballpark. They displayed so much class, elegance, and style. Additionally they were naturals in front of the camera. I had a blast taking those photos. I had complete confidence that their Castle Farms wedding would be a dream to capture. It did not disappoint. A behind the screens shot of Amy of Amy Brownridge Photography taking advantage of window light for a solid groom portait. Absolutely loved how these gold sequin dresses complimented the bride and bridesmaids. Those cupcakes..that cupcake display... a 10 out of 10. Often when I take the bride and groom for their portraits/photos, typically it's just the three of us. 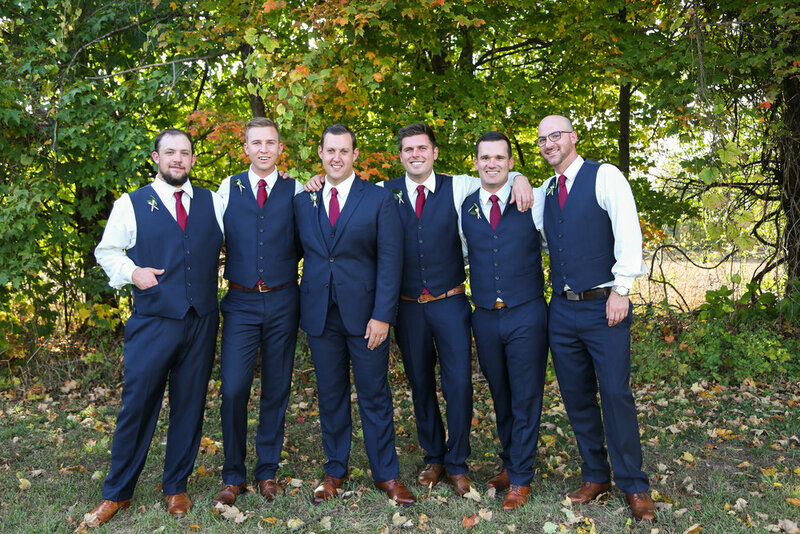 For this wedding, the Matron of Honor came along and helped with whatever was needed. She held the veil for the photo below - Kim asked if I'd take one photo including the Matron of Honor performing this duty :). I absoulutely adored the appreciation and love the couple showed for their family and friends. 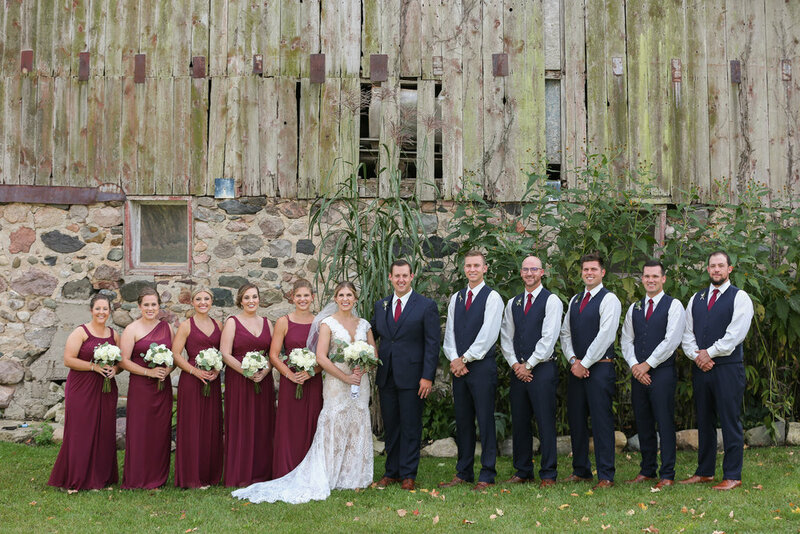 Mike & Kim, their wedding party, guests, and family were full of such positive energy! 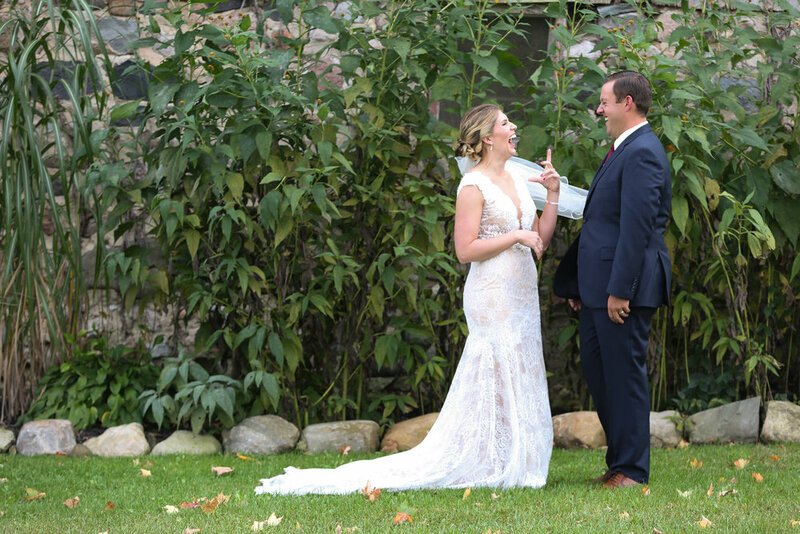 Above, two members of their wedding party got them to laugh in between shots - which lead to this candid photo. The venue, the wedding, the people - it was a wedding fit for a King & Queen. Where do I even begin, to explain how wonderful Ada and Dave were to work with? I met Ada and Dave via through a referral - I photographed Ada's sister's wedding. While they were in town visiting, we met up in downtown Grand Rapids to go over details and scout possible photography stops for their wedding. They were so easy going and open to ideas as I bounced some suggestions based on what they told me they liked. We decided their sites would be a mix of architecture, art and nature/urban. My other blog post featured a cat. Well, here is another cat! Ada gave Dave this one of a kind artwork of their cat as a wedding gift. Ada and Dave's ceremony/reception took place at the John Ball Park Zoo's Bissell Treehouse. In the simplest term and with all due respect, they were cool. By cool, I mean awesome. I throughly enjoyed how comfortable they were with being themselves, showcasing their compassion for each other, their loved ones and the things that bring them joy in life - such as art, animals, music, nature, and time spent with family/friends.